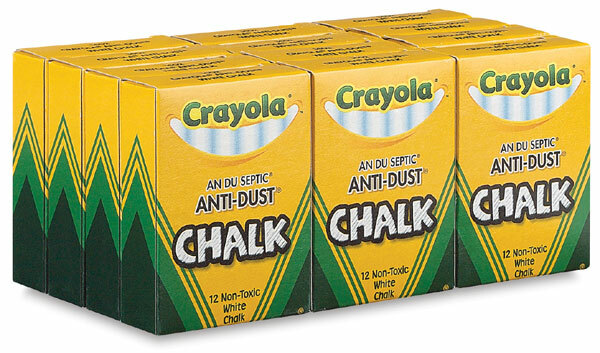 This dustless chalk produces a clean, smooth line on natural slate and other similarly surfaced chalkboards. Stick size is 3-1/4" × 3/8". White chalk is sold in packages of 144 sticks — 12 boxes with 12 sticks per box.